Who was Osceola and why was this Native Indian chief famous? Summary: Chief Joseph (1804 - 1838) was a famous leader of the Seminole tribe, a branch of the Creek tribe, who were based in Florida. He led the Seminole resistance against efforts to remove them from Florida to Indian Territory in Oklahoma. 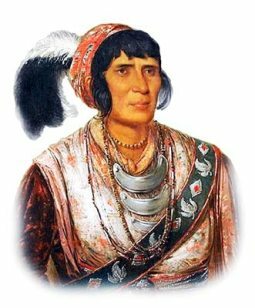 Osceola was imprisoned by General Joseph Hernandez. Mystery surrounded his death on January 31, 1838. Osceola is said to have died either by an attack of quinsy, by his own will or was poisoned. The following fact sheet contains interesting facts, background history and information about the life of Osceola and the events in history that led to his fame as a great Native American Indian leader.